Claudia grew up on an arable farm on the outskirts of Newmarket, surrounded by well renowned Studs. This was the start of her love for racing which did not disappear when her family moved to the Scottish Borders. Having learnt to ride before she could walk, horses have always been in her life, competing in many different disciplines from an early age. With her achievements cumulating in representing the U18 Scotland Dressage team aged 14, followed by U18 Three Day Eventing team aged 17. After leaving school Claudia completed a Professional Cookery Course in Edinburgh, followed by spending time in her hometown of Newmarket, visiting studs and completing secretarial and bookkeeping courses at the British Racing School. Returning to the Borders she worked as a secretary and PA for local storage and removal company, Storage Express, before moving to work as secretary for milliner Yvette Jelfs. This integrated Claudia within the racing community and presented the opportunity to work alongside racecourses such as York and Cheltenham promoting ladies fashion. 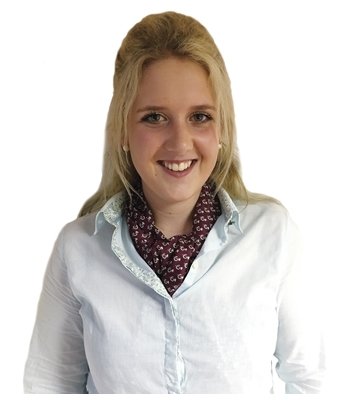 Claudia started working in the sales office for Goffs UK in May 2017 and then went on to cover a six-month maternity leave as a secretary in the main Hawick office. She then joined the Marketing team in October 2018 as assistant to the director. Her interest/ hobbies outside work include Eventing internationally, as well as enjoying all other country pursuits, socialising with friends and of course her passion for racing.